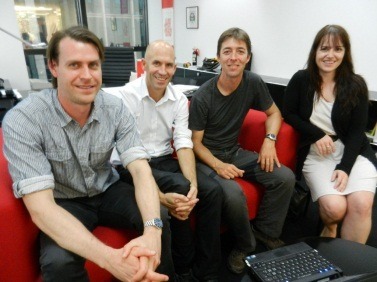 On Friday September 21, Christoph Haemmig, Daniel Bieri from GEOTEST AG Zollikofen, Switzerland and Heidi Lüdi, MD visited swissnex. They just got back from a 4 week expedition in the Karakoram Mountains. Together with other members of the delegation, and their Chinese partners, they installed the early warning system of glacial lake outburst floods (GLOF) and climate change monitoring. This project was initiated in the framework of the memorandum of unterstanding MOU, signed between the FOEN Federal Office of Environment and the CMWR Chinese Ministry of Water Resources.